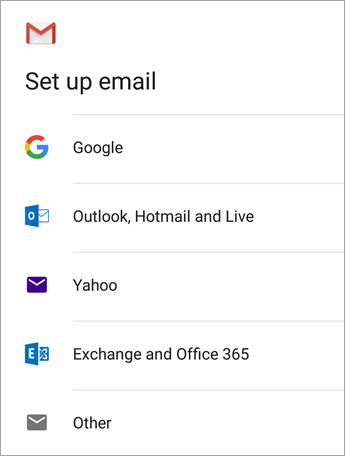 Android mail apps may look different across different devices, and these directions may not exactly match the options you see. Use these steps as a guide or consult the manufacturer's help for your particular device. Are you using AOL mail? If so, this page can't help you! Please contact AOL support for help. This page and the settings available on this page are for Outlook.com and Office 365 for business users only. Type "Gmail" into the search bar and then select Update. Note: If the update option is not available, you're already on the latest version. Important: Do NOT choose "Outlook, Hotmail, and Live" unless you want to sync email only and not calendar/contacts. 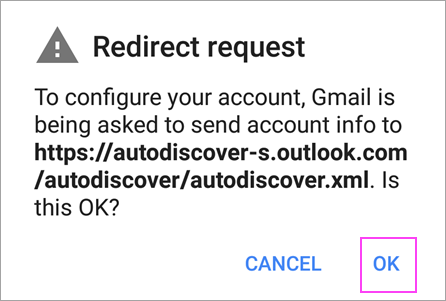 Office 365 work or school: you may see a Redirect request screen. Tap OK.
Go to the inbox you just set up. 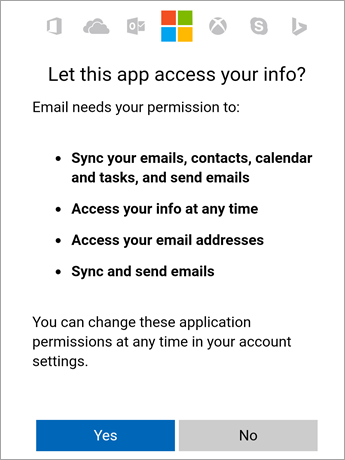 If you see an email that says "Action Required to Sync Email," open it and tap Use another Mail app instead. If you don't see this message and emails are syncing, skip this step. If you see a notification that reads "Unable to sync calendar and contacts," tap it. Then tap Allow to give access and you're done! Note: If you don't see a sync error, verify your calendar and contacts are syncing. Enter your full email address and then tap Manual Setup > Exchange. Note: If you're setting up an Exchange-based account and you don't know the name of your Exchange Server, contact your administrator. Use smtp-mail.outlook.com if you're using an Outlook.com account. Follow any prompts you may get, including security permissions. You may also be asked to set your sync settings and a display name. Note: If you use Office 365 for business you may also be asked to give additional security control. In this case, choose Activate. Note: If you don't see a message like this and all your emails are syncing, there is no need to complete this step. Tap the email message to open it. 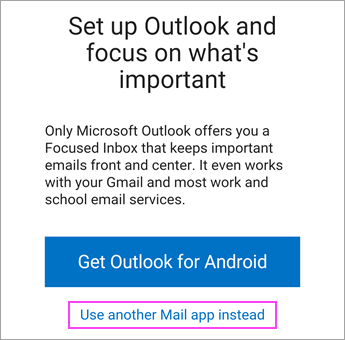 Tap the Use another Mail app instead link to enable sync with the Gmail app. Are you trying to sync calendar and contacts? Pull down the Android notification bar by swiping down from the top of your device's screen. If you see a notification that reads "Unable to sync calendar and contacts," tap it. 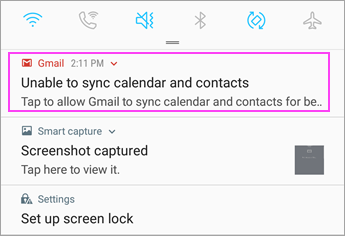 Note: If you don't see a sync error notification, your calendar and contacts should be syncing. Gmail will ask for access. Tap Allow and follow the prompts and you're done! Note: Syncing email, calendar, contacts, and tasks may take a few minutes. 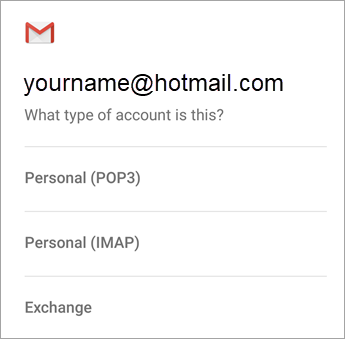 If your device can’t connect to your email account, make sure your email address and password are typed correctly. You're now ready to use your email in the Android Gmail app! Open the Samsung Email app and tap Add Account if it's your first time. Or, go to Settings in the app > Add account. Enter your email address and password. Tap Sign in. Note: If the email app detects your provider, you may be redirected to a different sign in screen. 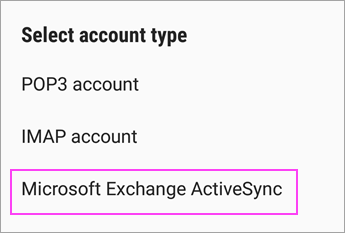 If you're prompted to select account type, choose Microsoft Exchange ActiveSync to sync contacts and calendars. Tap Yes or Ok to confirm settings and permissions. What you see may vary depending on what kind of account you're setting up. If you've turned on two-step verification, you'll verify your identity with your chosen method. Syncing email, calendar, contacts, and tasks may take a few minutes. 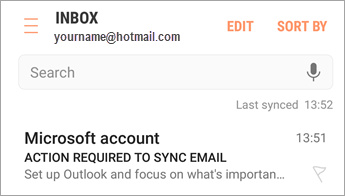 If you see an email that says "Action Required to Sync," open it and tap Use another Mail app instead. If you don't see this message, skip this step. Open the Samsung email app. Go to Settings > Add Account. 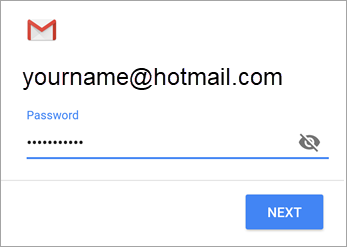 Enter your full email address and password. Tap Manual Setup. 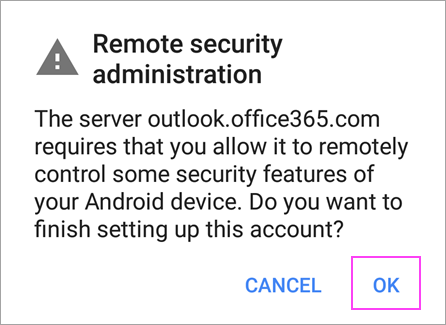 If you use Office 365 for business you may also be asked to give additional security control. In this case, choose Activate. 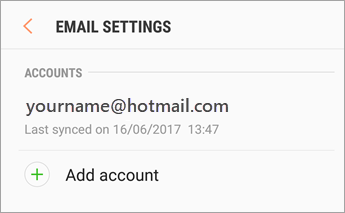 You can set up your email account manually using IMAP instead of Exchange ActiveSync. This means that only your email will sync to your phone, not calendar or contacts. What are POP and IMAP? Open the Samsung Email app. 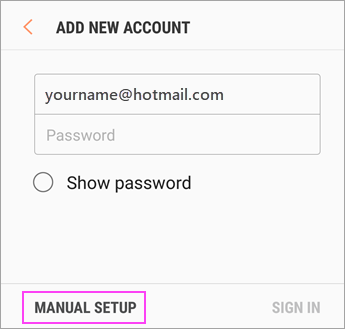 Choose IMAP account or POP3 account to sync only your email. You're now ready to use your email in the Samsung Email app! Having trouble? We've got your back. This article was last updated on August 13, 2018 because of your feedback. 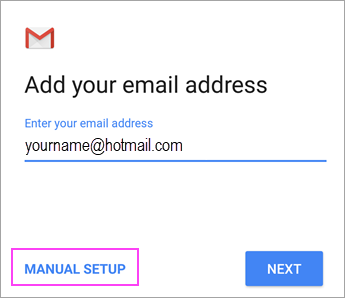 If you still need help setting up email on your Android device, tell us about your question in detail using the comment box below so we can address it in the future. Contact Microsoft support regarding your Office 365 or Outlook.com email setup. If you have a work or school account that uses Office 365 for business or Exchange-based accounts, talk to your Office 365 admin or technical support.